There's always something good about 'close enough' although you don't hear that enough. The real trick is making the irreversible choices now that aren't easily redone or enhanced later, and those are rarer than you think. 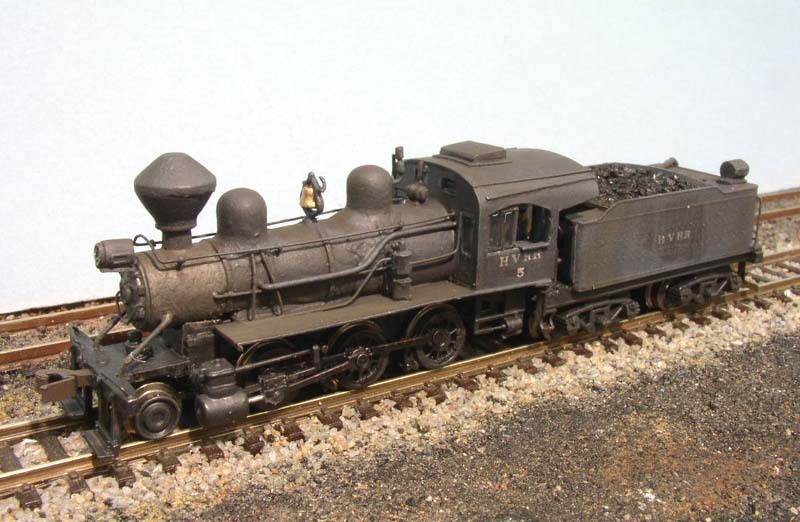 Way back in 1976 I took a Rapido 0-6-0 and made it into a 'close enough' model of Hickory Valley Lima-built 2-6-0 #5, sorta. At the time there wasn't much else that could be made into a small 2-6-0. Only about four years ago I did enough research to get the actual drawings of the real locomotive, and discover that the chassis (but nothing else) was dead-on to the Atlas (microace) 2-6-0. Ended up scratchbuilding everything above the frame, came out great, and it's probably 25% smaller than my 'close enough' Rapido version from the 70's. The new one is one of the best things I've ever built, certainly the most accurate with the actual locomotive drawings at hand. But you know what? I still run the Rapido one more, it's my go-to power for train shows where something can run for hours. I can afford to wear that one out, I have lots of spare parts, it runs really well since I upgraded the tender pickups to 8x8 and isn't particularly fragile, and unless you put them side-by-side, nobody seems to care but me. But at the macro-level perfection of this group, it's pretty embarrassing to admit, particularly because I've never turned the flanges and the main rod goes right into the valve chest cylinder without a piston, and the side rod feeds into the main cylinder. I'm still running a 43-year old Rapido 0-6-0....admittedly on its third motor and third rebuild of the tender. It's turned into the woodsman's axe, and is the oldest continuously running piece of anything I have. I strongly agree with the ‘close enough’ standard. Especially in N-scale where ‘general effect’ is so important. Randy makes an excellent point. And you know what? That 35-year-old one still looks pretty darn good. I have a handful of old Atlas, Concor, Rivarossi stuff that will never part with. It's not super-detailed, but it still looks good pulling a train and it's reliable stuff. So why not? I've got the first 3 scratcbuilt structures I ever made, still on my layout. They are not nearly as good as something I made 2 years ago. But they don't look "awful". Everything doesn't have to be a museum piece. That would choke the fun out of everything. You already have the Minitrix trucks. Just chop those off and graft them on like Max suggests. Some 220 grit paper will have the Bachmann trucks down to wafers in no time. What are you using for lettering? The decals I picked up Saturday from the MA&PA HS. What a great build, Ed! It's looking great! I have a couple of sets of HO scale decals if anyone wants them. I echo the sentiments. Perfect is the enemy of good. I'll be happy if I can get the tool boxes off of the tender without screwing it up. I'm on the fence about lowering the boiler but leaning towards doing it. The pilot changes will be a no-brainer. The walkways? Probably not so much. Yep! I think they recently restocked a bunch of their decals. They look like they're from Microscale. I can't remember, but think I lowered it a scale 15". Concerning "perfect is the enemy of the good": My approach to a solution for that is to buy an extra shell. Then I can make something that is "good" and run it, while I try to make a "better" version to replace/upgrade the one that is running whenever the better one is ready" (which may be "never"). "Perfect" is not in my planning nor capabilities, but maybe still my dreams. I would rephrase "perfect is the enemy of good" to "perfect is the enemy of complete" The definition of good or good enough to the modeler is his or hers to determine.